In 1950, I began my career as a sheet metal worker for Armco steel Corp. now AK Steel in Middletown OH. I remained there until 1988 when I retired.During that time I received my Apprentice Certificate. became a crew leader, apprentice instructor & assistant foreman. In 1970, while still with AK, I started Gardner Metal Craft, working in the evenings and weekend's an slowly built the business till I retired in 1988. 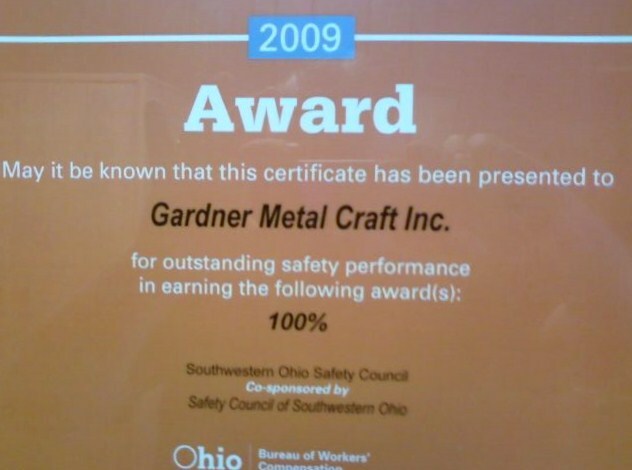 Here at Gardner Metal Craft we strive to give you what you want, how you want it, and when, no matter how big or small, shape, weight, color. Here at our shop we craft metal by hand. All our employees have 15+ years welding experiance or longer in welding and fabrication,specializing in hand crafting. 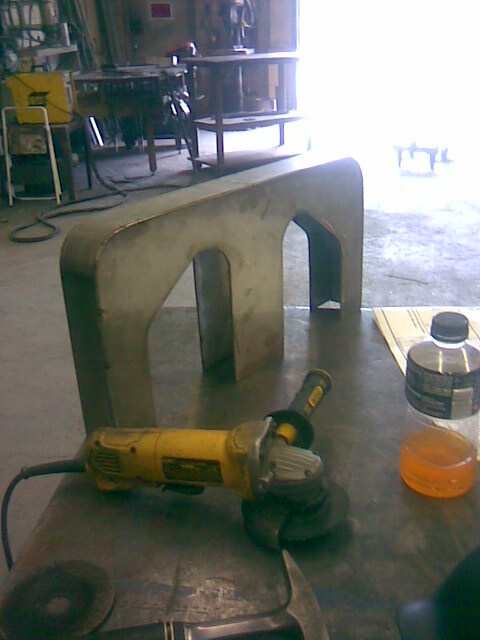 Aluminum can be tig or mig, stainless We have the same ability, we custom build or build to blue print. Browse our site and you will see examples of our work + work from prints. We are a moderate sized welding company with a friendly staff who is well trained in welding and fabrication. Our capabilities include shearing, bending, rolling, cutting, + welding. We have a large shearer and brake, various welding machines, rollers, + punch presses.